The Sami kåta and the Indian teepee are in principle the same solution for living close to nature. A simple cone-shaped frame of wooden poles was covered with animal hides, with an opening at the top to let out smoke. Very quickly the nomadic reindeer herding Sami people of northern Scandinavia had a wind-resistant and relatively sophisticated home that was easy to keep warm. The principle was simple: the fire created warmth and the hides kept it in. The fire also provided light and a homely atmosphere. Cooking and smoking food, drying clothing and other household chores could be easily done inside. Because the kåta weighed little in relation to its size, it was the perfect solution for a nomadic lifestyle. The wooden frame was easy to make so it was left behind when the nomadic people moved on. In practice, they often returned to their earlier camps year after year, so the kåta was set up quickly using the frame previously left there. Tentipi Nordic tipis are based upon the traditional design principles of the Sami kåta, coupled with innovative new design, and the latest materials and construction techniques. Read more about the Sami people and Sami culture here. Find out what makes our Adventure Nordic tipis so special. Learn how to use fire safely in our Nordic tipis. Embraces the elements like no other tent. The Sami are a nomadic, indigenous people in northern Scandinavia. They are known as the people of the sun and the wind. 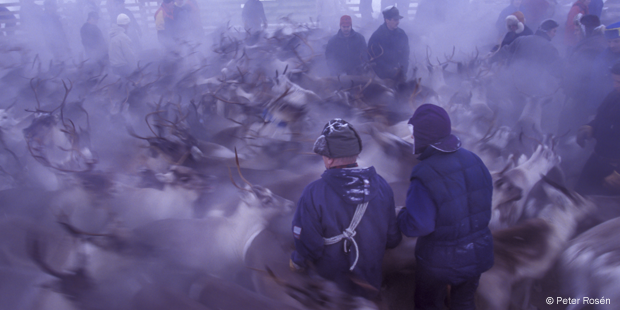 Some Sami still work as reindeer-keepers. 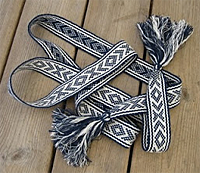 Traditional Sami clothes are decorated with colourful, woven bands and bands like this used as shoelaces.